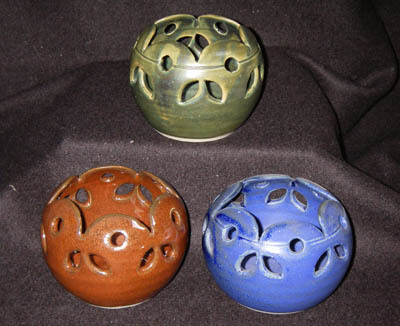 Kilmory Workshop handthrown domestic stoneware pottery from the Isle of Arran, Scotland. 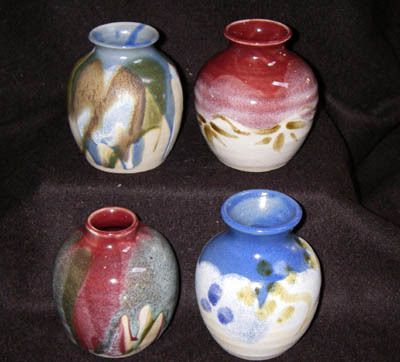 Examples of pottery made at the workshop. Click on the pictures for larger images. 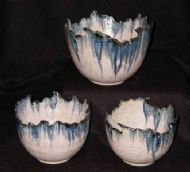 The processes involved in handmade pottery make each item unique. There are slight variations in the colour, size, shape and surface decoration giving each pot its own individuality and charm. 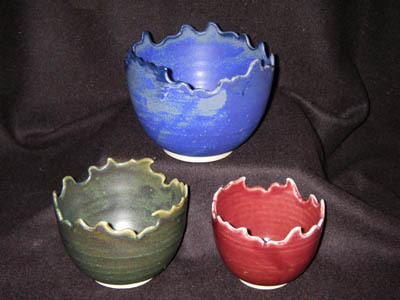 Wave form bowls £6.95, £9.95 & £14.95. 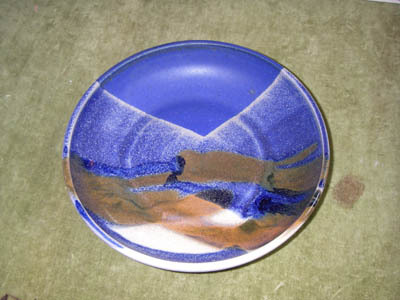 Landscape plate in dark blue/cream glaze 7.5"diam, £12.95. Small vases 3.5 to 4" high. £5.95ea. 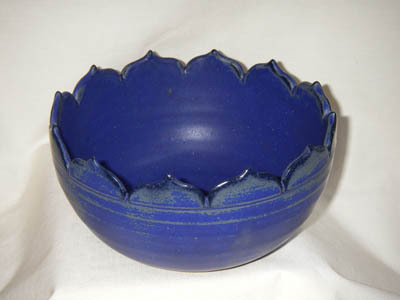 Ojee bowl in deep lilac glaze, 16cm x 8.5cm £18.